the Best Services and nothing but the Best Customer Experience. With a renewed focus on the customer journey, MBM continues to deliver the utmost in customer care aligned with placing the customer at the center of all activities. Customer Services, a rebranding of Mercedes-Benz’s Aftersales department, consistently extends its commitment to the market with the necessary presence, coverage and capacity alongside skilled talent to deliver the best Care to Mercedes-Benz customers and fans. 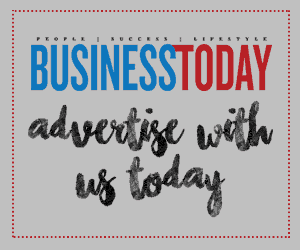 There are currently a total of 31 service centres with 5 body and paint centres nationwide – represented by over 480 highly-trained staff to deliver superior customer service. Committed to creating Experience beyond Expectation with products and packages, Customer Services details maintenance packages with replacement of certain wear and tear parts as an optional inclusion. These are the Compact Maintenance and Agility Compact packages for the first four years of ownership, while the StarCare Maintenance Package is available for the 5th, 6th and 7th year of ownership. In the first half of 2018, the dealer network registered a service volume of 71,650 in 31 service centers, an increase of 16 per cent over the previous year, while continuing to uphold the highest standards of Customer Satisfaction Index (CSI) which are a benchmark in Southeast Asia. introduction was the first AMG Brand Training for sales and Customer Services outside of Germany recently – demonstrating the increasing commitment in offering comprehensive support for the World’s Fastest Family. Mercedes-Benz Malaysia delivered 6,790 vehicles in 1H 2018, a 15% increase over 1H 2017 while a market share of 2.5% in total for 1H 2018 records an improvement of 0.2% from 1H 2017. 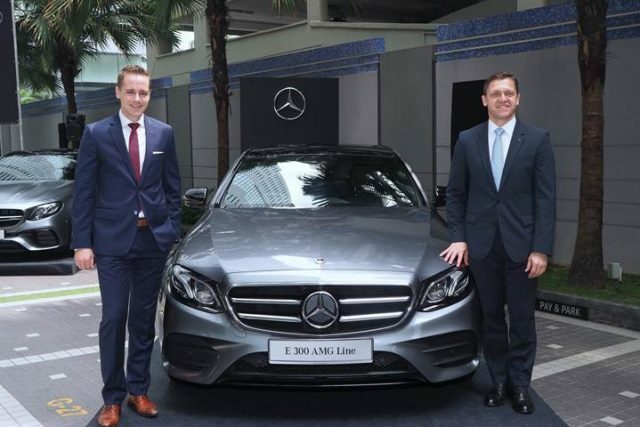 Thus far this year, MBM’s locally-produced limousines namely the Mercedes-Benz C-, E-, and SClass, collectively recorded a total of 4,322 units sold. MBM’s range of premium compact cars comprising the Mercedes-Benz A-Class, B-Class, GLA-Class and CLA-Class recorded 996 units sold. These two segments recorded increases of 18% and 20% respectively compared to the same period last year. The Premium SUV range by Mercedes-Benz remained a growth driver recording 1,291 units sold, which translated into a 4% increase compared to Q1 of 2017. 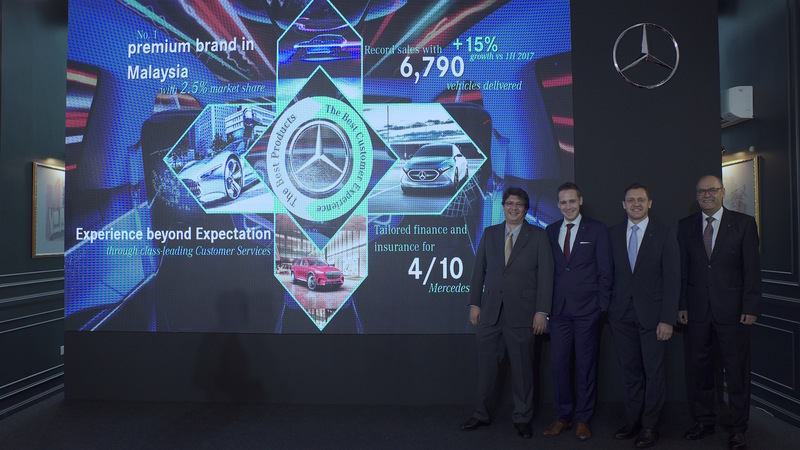 The eminent brand-shapers in the form of the Mercedes-Benz Dream Cars collection also recorded a notable achievement with 181 units sold, marking a 1% increase compared to 1H 2017.